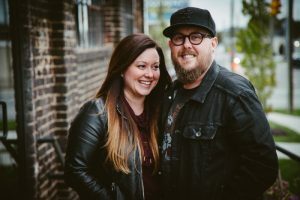 Jason and Rebecca Jones are clients and friends of ours, and we want to share their adoption journey with you! “Earlier this year, we began the intial inquiry about adoption with an organization called Adoption Assistance. They have been so supportive and gracious in guiding us through the massive amounts of details for starting this process. Since then, we have completed our home study and are on the path to finding our children! Our heart is very much with adopting two siblings under the age of 5, who live in the United States, and we cannot wait to meet them! As you probably know, the fees and emotions associated with adoption are extremely high…so we cannot do this without you. We need your support more than ever…and want you to be a part of our journey. 1. Please pray for us. Specfically, we ask that you will pray that the Lord will guide us to our children quickly. 2. Please give, if you can. Contributing financially will go directly towards this process. Every little bit helps! Watch their video, and consider giving here. Adoption is one of the coolest (and hardest) things I can imagine. Way to go Jason and Rebecca. I will pray for you.